From graduates on up, getting the best available teaching staff for your borough is far from straightforward. At Teacher Recruitment events the competition is usually tough. 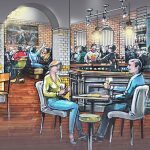 Potential applicants are often spoilt for choice and it is not always clear what might attract them. This was the dilemma faced by Merton Education despite the many obvious advantages the Wimbledon area offers. 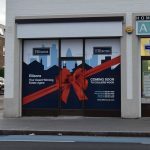 TA2 Design and Marketing were commissioned to create a fresh set of marketing materials for these events which would achieve stand out from other boroughs. Rather than focus directly on school-related themes we picked geographical position and lifestyle as this is what our research showed was important to the target group. 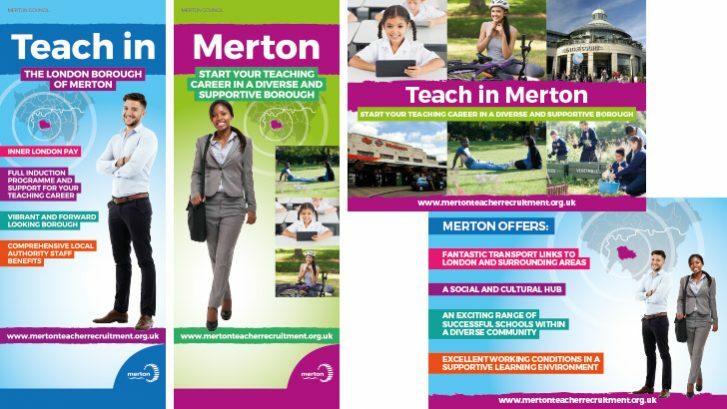 The thrust of the campaign was therefore not just built around an exciting career opportunity in a forward-thinking borough, but the wider offerings unique to Merton and Wimbledon: proximity to both city and countryside, excellent transport, abundant entertainment and leisure facilities. 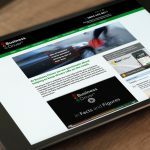 The designs featured bright, inclusive imagery, concise headlines emulating social media and communicating the promise of a rewarding and fulfilling career. 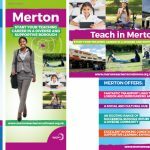 The materials, which included banner stands, printed tablecloths and postcards, encapsulated all aspects of what Merton Borough could offer and the reaction and interest has been positively overwhelming.